Prof. Park currently heads the blockchain think tank, the first of its kind ever built in Korean universities in 2016. 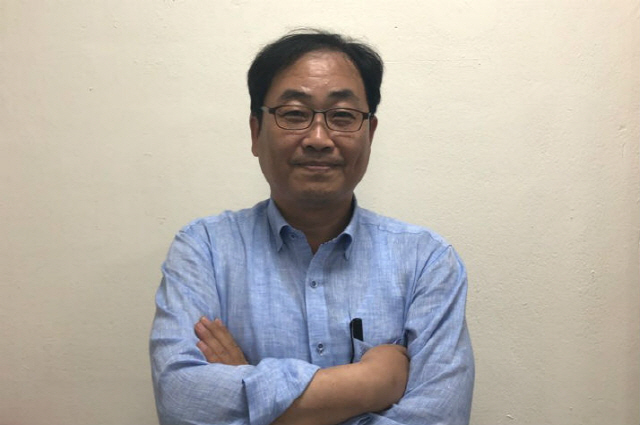 He has played a key role in creating the master’s course at Dongguk University to nurture blockchain experts. He himself is a cryptology specialist who earned a doctoral degree from his research into David Chaum, one of the forefathers of cryptocurrency. Now Prof. Park is preparing a blockchain ICO entitled “AndUs.” According to him, the ICO is likely to take place this year as his project is undergoing verifications by a group of blockchain experts. He described “AndUs” as a public blockchain project that would resolve slow speed and decentralization problems, which are often taken as Ethereum’s flaws. “This project will serve as infrastructure facilities for token ecosystems. ‘AndUs’ will become the next-generation Ethereum and Asia’s Ethereum simultaneously,” he said. Prof. Park claims that if deb consensus algorithm is used, it will be possible to maintain a sustainable decentralization trait and expect the processing speed to exceed 1,000 TPS. At present, Ethereum shows 15 to 25 TPS and another platform blockchain EOS 2,850 TPS. “The purpose of deb consensus algorithm is equality in mining. The key is to maintain the sustainable decentralization trait while ensuring all nodes fair mining chances, regardless of computing power or stakes,” he said. Unlike other consensus algorithms, deb consensus algorithm is a model that cut the link between mining and cryptocurrency issuance. “It is a consensus algorithm designed to develop the first public blockchain envisioning no relationship between mining and cryptocurrency issuance,” Prof. Park explained. “Just imagine that nodes wishing for mining pay 100 won each as an entry fee to take part in the mining league,” he said, adding that “on the assumption that 10,000 won is made with the participation of 100 nodes, the system, modeled after lottery, allows none but those who succeed in mining to get rewards from part of entry fees and transaction commissions. “The government says the Fourth Industrial Revolution is based on blockchain but is not doing as much as it did to promote the internet,” Prof. Park said, adding that “we can ill afford to repeat the same mistake in blockchain. We need to open the floodgates to nurturing people and innovating industries.” If ICOs get a green light in Korea, he stressed, it will lead to job creation domestically as ICO-caused added value hardly exits the country. With regard to concerns about money laundering through cryptocurrencies, he raised questions about such possibilities, recalling the practice of obliging ICO investors to undergo KYC (know your customer) and AML (anti-money laundering) checks. “Fluctuations matter more in futures and short stock selling than in cryptocurrency. Regulations are necessary but they must be intended to vitalize the relevant industry instead of being perfunctory,” he said. Asked to pick the most opportune country in which to conduct an ICO abroad, Prof. Park bluntly said, “That should be Korea absolutely.” Touching on the latest move to designate Jeju Island as a special blockchain zone led by Won Hee-ryong, the province’s governor, he expressed hope that his blockchain project will go through legitimate procedures after the island is designated as such. “The relevant industry would get a big boost if someone just utters a single word that designates Jeju Island as a special zone for ICO and blockchain, but the problem is that nobody wants to assume responsibility,” he said. “As blockchain is surely innovation that would make it possible to create a low-cost ecosystem for new businesses, Korea must be a blockchain powerhouse without fail. I am willing to tread a thorny path if it results in laying an economic foundation for our descendants to eat well and live well,” Prof. Park said.